Sometimes you just need something comforting for dinner. These kinds of dinners happen from time to time. I realize that this isn't an authentic spaghetti carbonara. 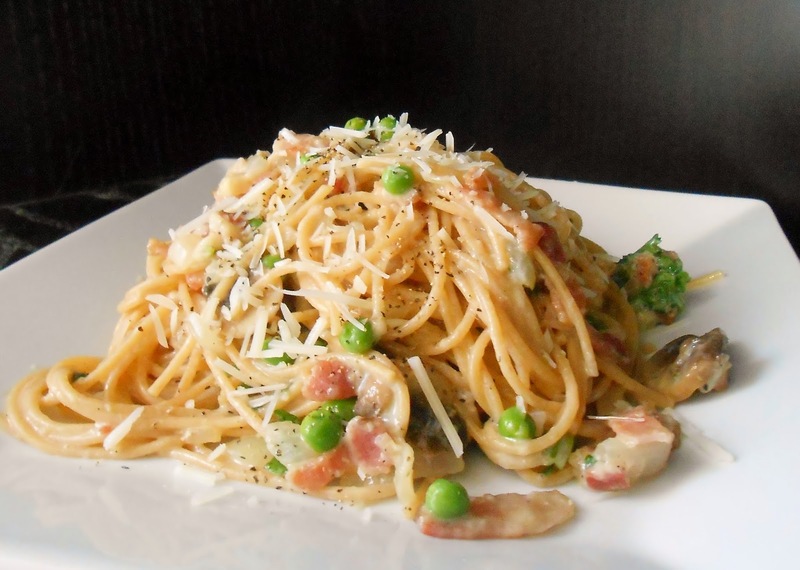 Real carbonara should not have peas, and it should use pancetta instead of bacon. Oh well. This is still tasty and that little bit of green makes me feel a little less guilty about eating bacon, eggs, pasta and cheese for dinner. Sautee bacon to release a little oil. Then sautee onion and garlic until translucent. Add peas and let aside.